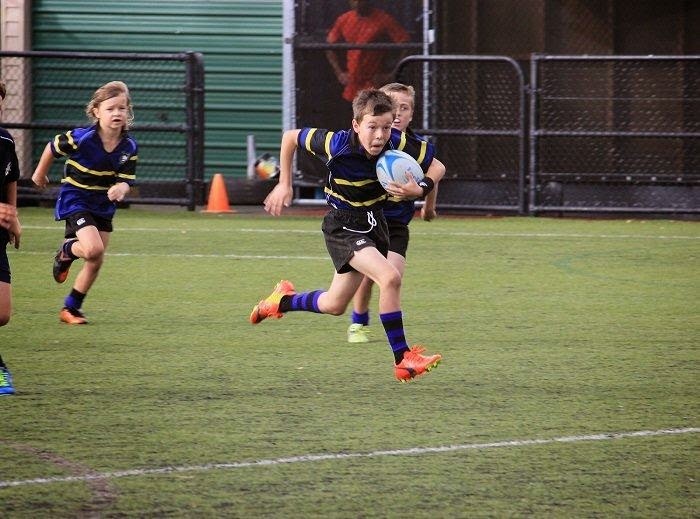 My nine year old son Thomas has recently started playing for the Ponsonby-Kelston junior division of the Ponsonby Rugby Club, colloquially known as the ‘Ponies’. 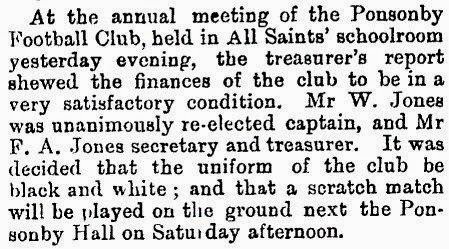 The Club celebrated its 140th anniversary at the end of May, so I thought that provided a good opportunity to explore the club’s history. 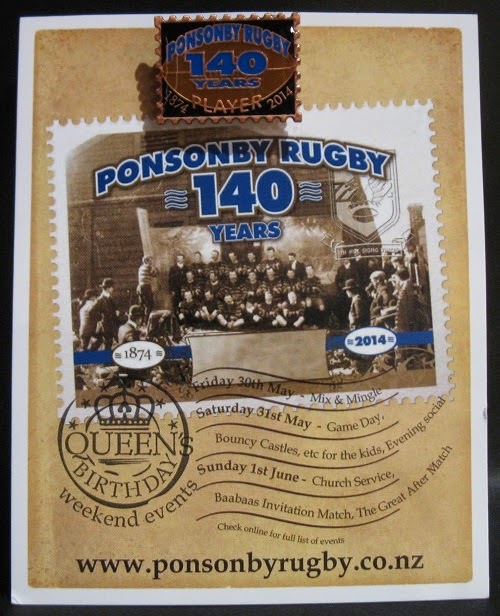 Founded in 1874, Ponsonby is one of the oldest rugby clubs in New Zealand, and is the last surviving founder member of the Auckland Rugby Union, which was formed in 1883. Ponsonby is well known as a ‘feeder’ club, with hundreds of its players having gone on to represent Auckland, an impressive 53 players are on its Honours Board for wearing the All Black jersey, and 21 for representing NZ Māori. 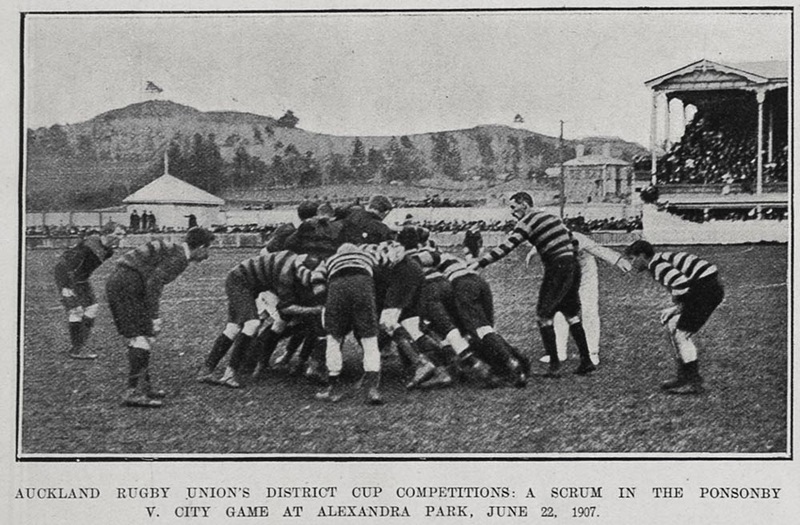 Early All Black legends from the Club include Dave Gallaher and George Nicholson, both members of the 1905 ‘Originals'. Gallaher captained the ‘Originals’, and went on to serve in First World War, losing his life at Passchendaele in 1917. The Gallaher Shield was created in his honour in 1922. George Nicholson was awarded Life Membership of the Club in 1914, his commitment resulting in the nickname ‘Mr Ponsonby.’ Shortly before his death at age 90 he presented the Club with his impressive collection of old jerseys and caps; they remain on display in the clubroom’s George Nicholson Trophy Cabinet. 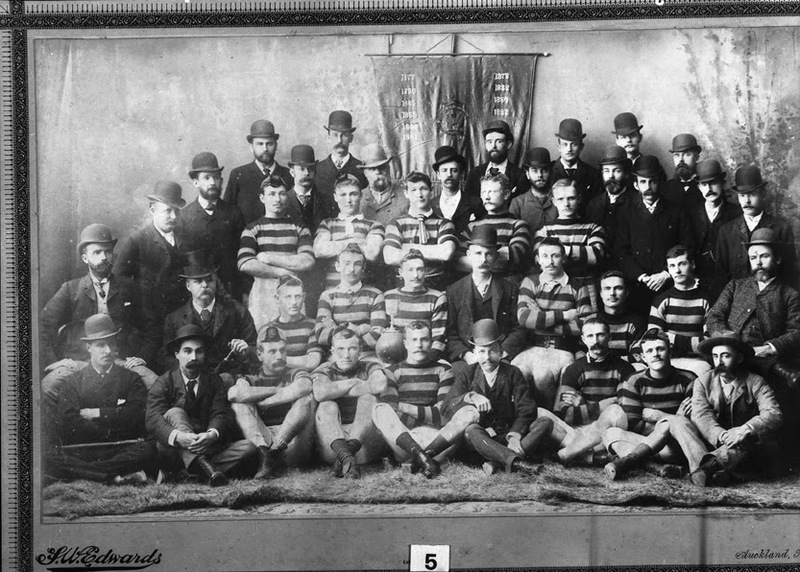 In 1876, influenced by two new members from England who brought their old school colours with them (Neazor, Paul, 1999, p. 21 - see full reference below), the kit was changed to blue and black stripes. 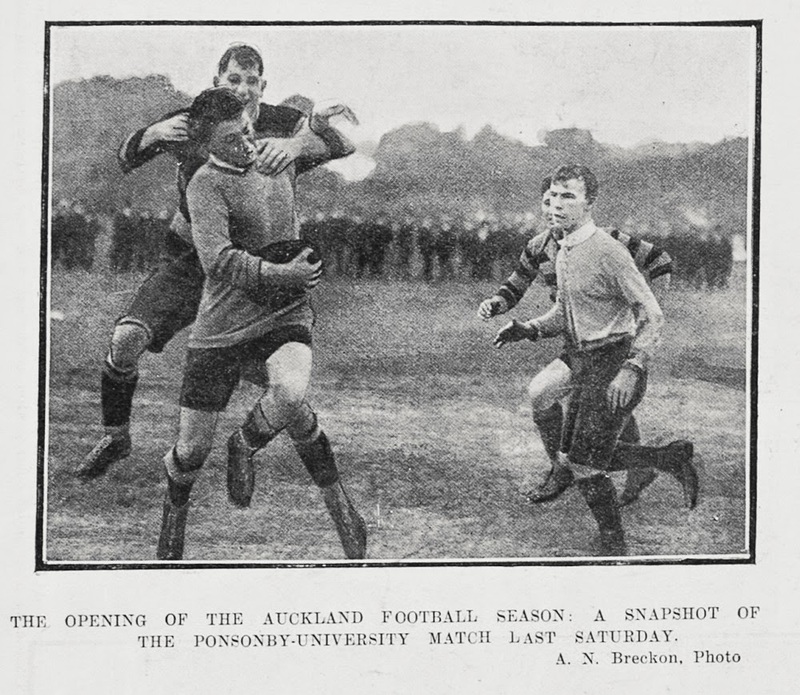 Those colours are still in use today - the photograph of Thomas (see very first image) shows the kit with additional yellow bands, used for when playing against another Ponsonby team. 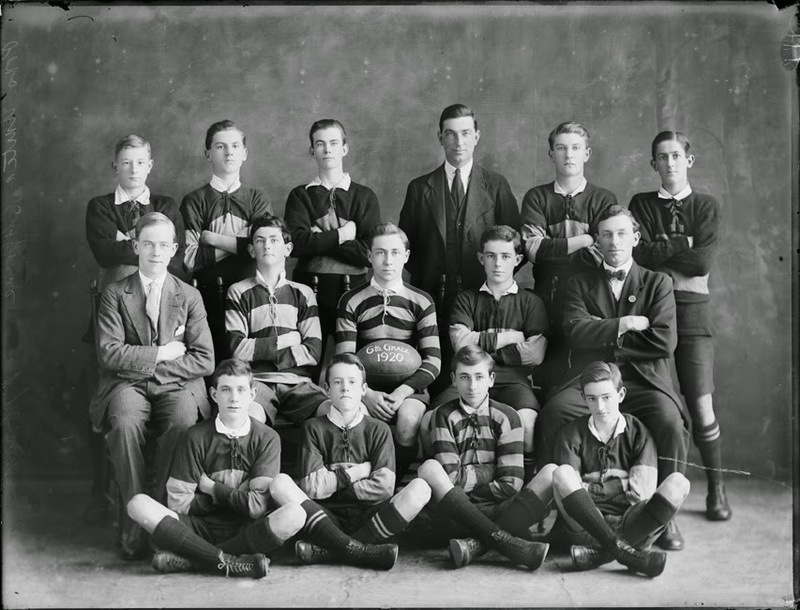 Ponsonby District Rugby Football Club. (1974). 'Centennial album 1874-1974’. And finally (but by no means least) you can find souvenir and match programmes via the Ephemera Index database - use the keyword search term: Ponsonby and rugby. Great article. Certainly makes you feel proud to be associated with a club with such an impressive history. This is a fantastic website and I can not recommend you guys enough. Full of useful resource and great layout very easy on the eyes.Thanks. Dear Ponsonby RFC. I am a member of Beccles RFC in Beccles, Suffolk, England. I am involved in compiling a history of the Club as this is our 50th year. I intend to put a lot of information on a blog and I do like the look of yours. But I struggle with setting it all up. Any chance of hints and tips to get a little bit like your excellent site? Yes, we're more than happy to help. I've just emailed you about it.